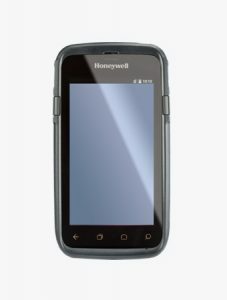 The Dolphin CT40 mobile computer is based on the Honeywell Mobility Edge™ platform and maximizes ROI by supporting five Android™ generations. 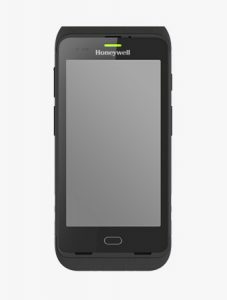 With its extremely robust housing and the Corning Gorilla Glass 5 “display, it is perfect for a harsh working day and even survives drops. 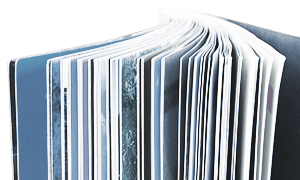 With Mobility edge management tools, you can test, validate and deploy applications across the enterprise, optimize device performance, simplify software updates, training and maintenance, and extend the entire product lifecycle. This handy device fits in any pocket, but with its protection class is equipped for difficult environmental conditions. *Registration possible as long as the test device inventory lasts. 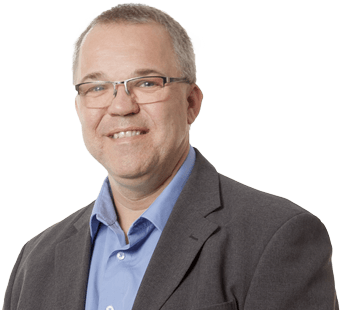 Number of available devices is limited. Prerequisite is a fleet size of at least 20 vehicles. CT40-CB-CNV-0 | Charge Base, Standard, for recharging up to four computers. Kit includes dock and power supply. Power cord must be ordered separately. CT40-CB-CNV-1 | Charge Base, for U.S., for recharging up to four computers. Kit includes dock, power supply, and U.S. power cord. CT40-CB-CNV-2 | Charge Base, for EU, for recharging up to four computers. Kit includes dock, power supply, and EU power cord. CT40-CB-CNV-3 | Charge Base, for UK, for recharging up to four computers. Kit includes dock, power supply, and UK power cord. CT40-NB-CNV-0 | Net Base, Standard, for Ethernet comms and recharging up to four computers. Kit includes dock and power supply. Power cord must be ordered separately. CT40-NB-CNV-1 | Net Base, for U.S., for Ethernet comms and recharging up to four computers. Kit includes dock, power supply, and U.S. power cable. CT40-NB-CNV-2 | Net Base, for EU, for Ethernet comms and recharging up to four computers. Kit includes dock, power supply, and EU power cable. CT40-NB-CNV-3 | Net Base, for UK, for Ethernet comms and recharging up to four computers. Kit includes dock, power supply, and UK power cable. CT40-QBC-0 | QBC, Standard, For recharging up to four batteries. Kit includes dock and power supply. Power cord must be ordered separately. CT40-QBC-1 | QBC, for U.S., for recharging up to four batteries. Kit includes dock, power supply, and U.S. power cord. CT40-QBC-2 | QBC, for EU, for recharging up to four batteries. Kit includes dock, power supply, and EU power cord. CT40-QBC-3 | QBC, for UK, for recharging up to four batteries. Kit includes dock, power supply, and UK power cord. CT40-HB-0 | Home Base, Standard, Kit includes dock and power supply. Power cord must be ordered separately. For recharging computer and battery. Supports USB client via USB Type B connector. CT40-HB-1 | Home Base, for U.S., Kit includes dock, power supply, and U.S. power cord. For recharging computer and battery. Supports USB client via USB Type B connector. CT40-HB-2 | Home Base, for EU, Kit includes dock, power supply, and EU power cord. For recharging computer and battery. Supports USB client via USB Type B connector. CT40-HB-3 | Home Base, for UK, Kit includes dock, power supply, and UK power cord. For recharging computer and battery. Supports USB client via USB Type B connector. CT40-EB-0 | Ethernet Home Base, Standard, Kit includes dock and power supply. Power cord must be ordered separately. For recharging computer, battery, and Ethernet comms. Supports USB client via USB Type B connector. CT40-EB-1 | Ethernet Home Base, for U.S., Kit includes dock, power supply, and U.S. power cord. For recharging computer, battery, and Ethernet comms. Supports USB client via USB Type B connector. CT40-EB-2 | Ethernet Home Base, for EU, Kit includes dock, power supply, and EU power cord. For recharging computer, battery, and Ethernet comms. Supports USB client via USB Type B connector. CT40-EB-3 | Ethernet Home Base, for UK, Kit includes dock, power supply, and UK power cord. For recharging computer, battery, and Ethernet comms. Supports USB client via USB Type B connector. CT40-SN-USB-0 | Snap-On Adapter with Tethered USB Cable to Support USB Client, Provides tethered USB Client connectivity. Compatible with hand strap, battery pack, and scan handle. Charges mobile computer battery in four hours or less. Kit includes snap-on adapter. Optional 50130570-001 (5 V/2 A) USB power wall adapter sold separately. 318-055-010 | Spare Battery Pack, Dolphin CT40 battery pack, 4090 mAh. 50121666-001 | Desktop Power Supply, A 36 W power supply for use with Ethernet home base, charge-only home base, and quad battery charger. Requires country-specific line cord to be ordered separately. 50121667-001 | Quad Base Power Supply, A 84 W power supply for use with four-bay charging base and four-bay net base. Requires country-specific line cord to be ordered separately. 50130570-001 | Power Adapter, Plugs, Kit, 5 V/2 A PS, includes five adapters: U.S., UK, AU, EU, and IN plugs. 50130570-001 | Power Plug Adapter Kit, USB power adapter (5 V, 2 A) kit for snap-on adapter, includes EU, UK, U.S., and IN plugs. CT40-SH-DC | Scan Handle, Compatible with Charging Dock, Snaps easily on or off the mobile computer. Compatible with charging docks, hand strap, and snap-on adapter. 825-238-001 | Holster suitable for use with Dolphin CT50, CT60, and CT40. CT40-RB-00 | Rubber Boot, Black rubber protective boot for Dolphin CT40. 825-237-001 | Pouch suitable for use with Dolphin CT50, CT60, and CT40. CT40-HS-3PK | Kit, Hand Strap (3/pk), Kit of three replacement hand straps for Dolphin CT40. CT40-SP-10PK | Kit, Screen Protector (10/pk), Contains ten self-adhesive screen protectors. 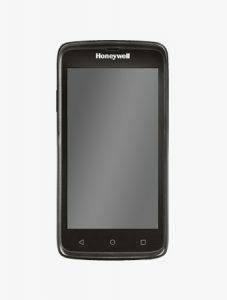 Honeywell is one of the largest companies in the world. 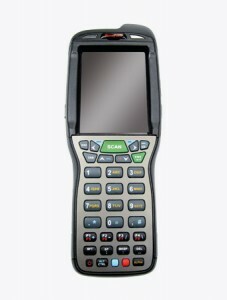 In addition to mobile computers, RFID and barcode scanners, the manufacturer's portfolio includes printers and special voice technologies for use in warehousing. 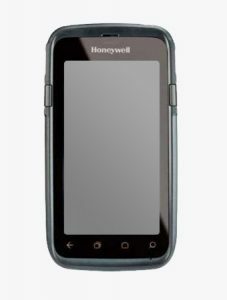 Honeywell has 129,000 employees worldwide and 319 branches worldwide in the form of various subsidiaries. TIS Technische Informationssysteme GmbH also holds the highest partner status "Platinum Performance Partner" with Honeywell.